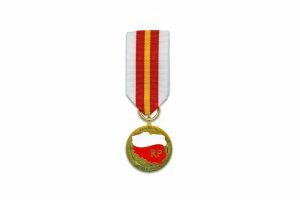 On 1.02.2017 company Arsenal was granted the Medal Zasłużony dla Eksportu (Praiseworthy in the area of export). The award is the result of dynamic, high-quality export activity we have been running for many years. The medal presentation took place at the Export Gala in Lublin. Such rewards are always a distinction and reward for the invested workload and serve as an additional motivator inspiring us to be even more effective.